This ornate and special scuola or school was dedicated to devotion and charity in the 14th century. 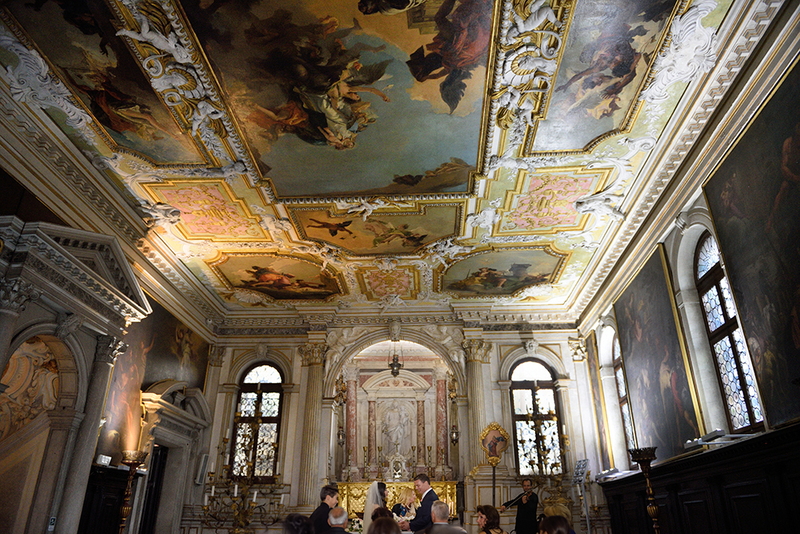 Decorated with gorgeous frescos by Tiepolo in the 17th century. This historic place is a wonderful location for a wedding ceremony or vow renewals. While it is not possible to have the reception here but it is possible to have an aperitif after the ceremony. Symbolic ceremonies and Anglican ceremonies: For an additional fee. Music: Live classical musicians welcome. Transport: Arrrive in gondola or water taxi a minutes walk away.